She knew that in 1841, Yale had appointed the pioneering scholar Edward E. Salisbury as Professor of Arabic and Sanskrit Languages and Literature, the first such full-time appointment in the us. 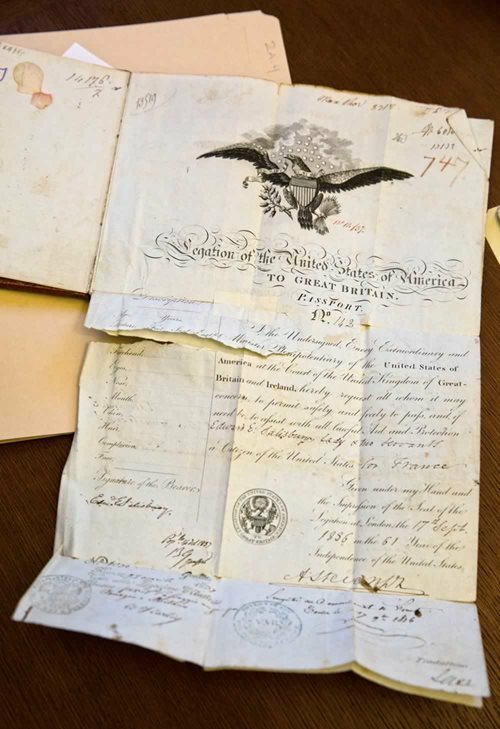 Inspired by the Leiden celebration, Dougherty dug into the Yale archives and began to plan for the 175th anniversary of his appointment. When Edward E. Salisbury became Yale’s Professor of Arabic and Sanskrit Languages in 1841, his was the first such position at a us university. 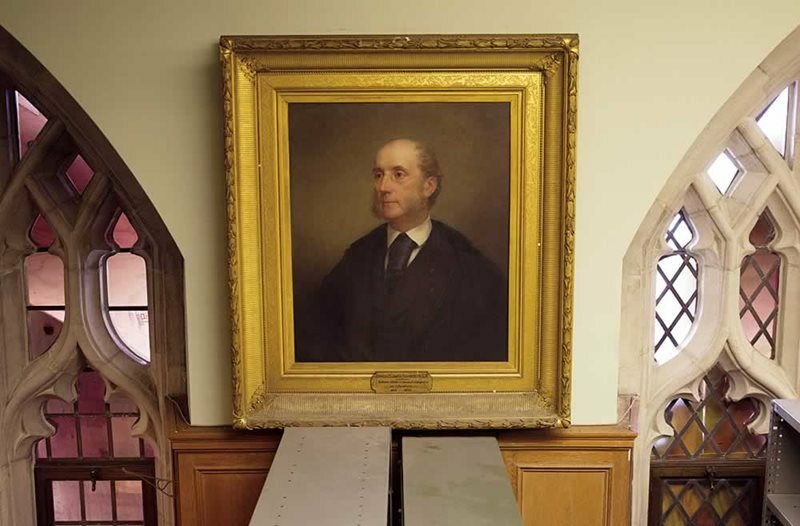 Salisbury donated his own library to Yale, laying the foundation for the Near East Collection. In September 2016, an exhibition and six-month-long series of lectures reinvigorated the dusty legacy of one of the leading American Orientalists of his time. It also opened a window onto the history of Arabic in colonial and early America that predates Salisbury by almost 200 years. 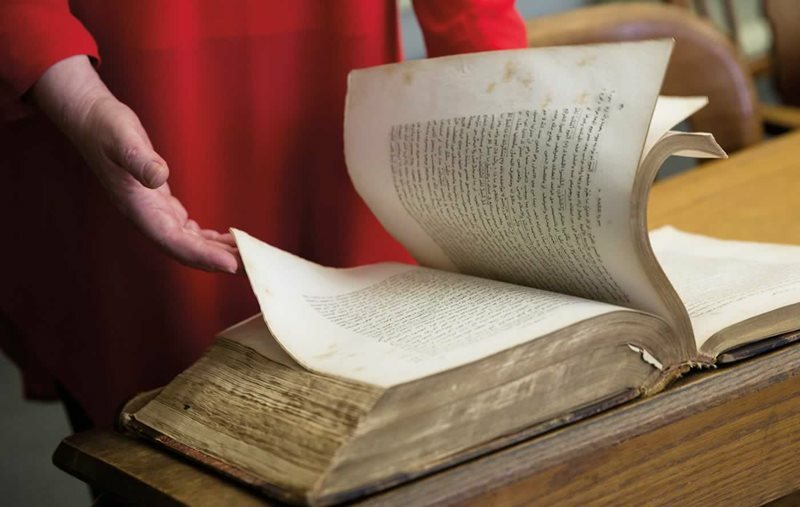 The Christian Reformation in Europe in the 16th century stimulated scholarship of the Bible, including the study of ancient Hebrew, Aramaic, Chaldaic, Syriac and Arabic, all to better understand original texts. Harvard was the first to introduce this theologically driven study of Semitic languages in 1640, and it added Arabic while Charles Chauncy served as the university’s president between 1654 and 1672. 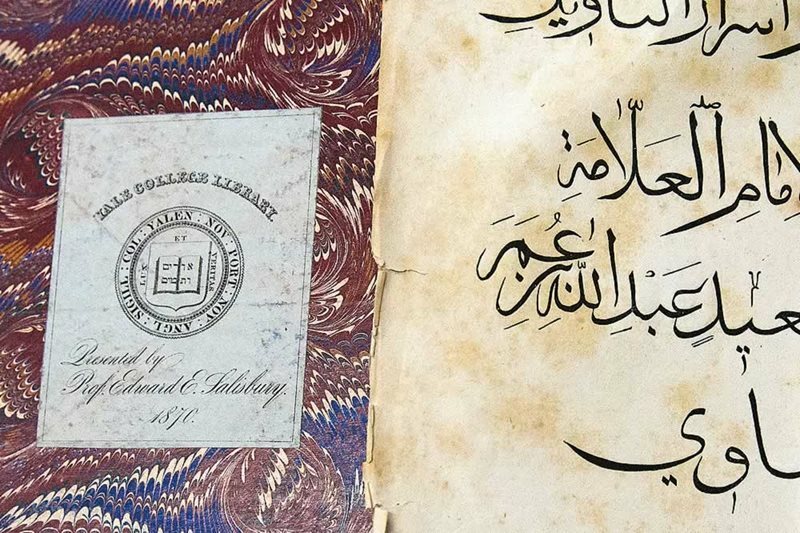 Yale introduced Arabic in 1700; Columbia University in 1784; and the University of Pennsylvania in 1788. “The earliest colleges founded in the us were intended to produce an educated ministry who were supposed to be able to read the Bible, and preferably early translations in Aramaic,” explains Benjamin R. Foster, Laffan Professor of Assyriology and Babylonian Literature at Yale. “However, the practicality of life in colonial America was such that very few students were actually interested,” he adds. 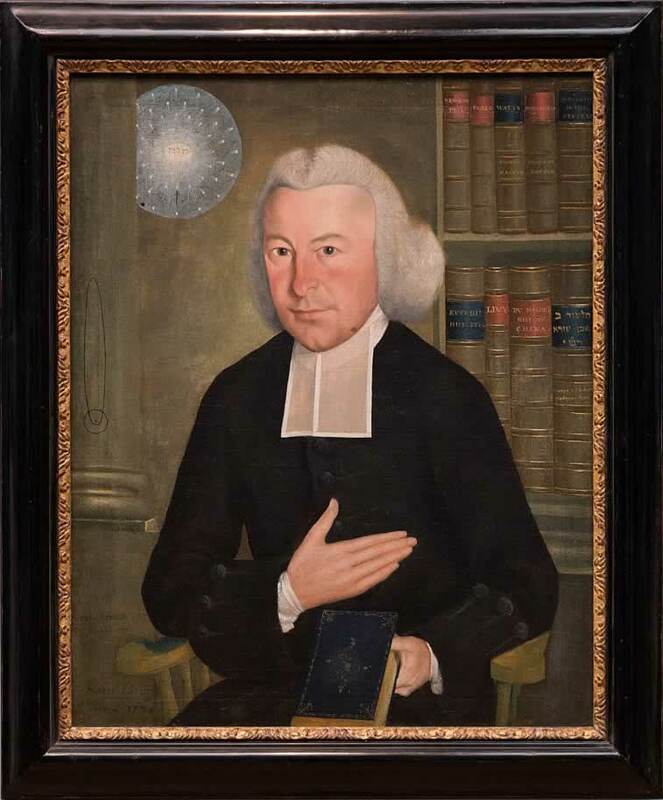 Ezra Stiles, Yale’s president during the American Revolution in the late 1700s, had studied classical Hebrew as well as Aramaic and Arabic, but he was unable to convince students of the value of Semitic language study beyond a freshman requirement. 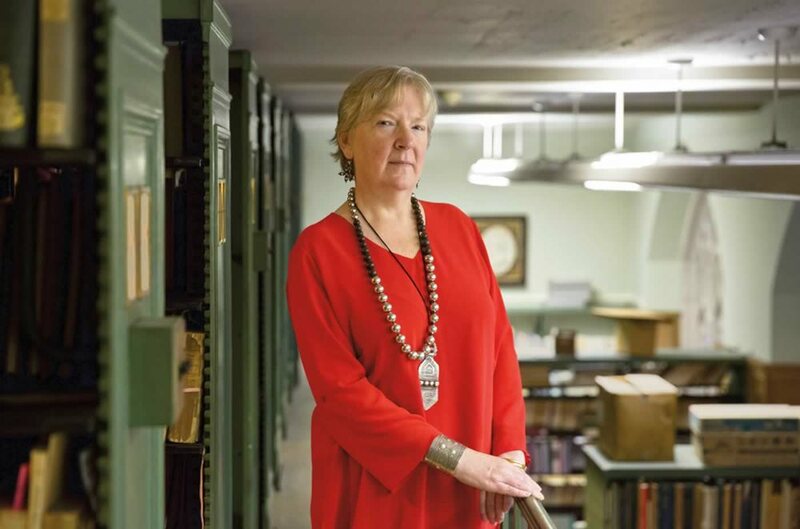 Roberta Dougherty not only oversees Yale’s Arabic and Near Eastern languages collection, but also organized the 2016 celebration that marked the 175th anniversary of Yale’s appointment of Edward E. Salisbury to the school’s Arabic and Sanskrit Languages professorship. Among these German scholars of Semitic languages was Johann Christoph Kunze, whose courses in Hebrew, Syriac, Aramaic and Arabic at Columbia University, beginning in 1784, failed to attract any students. Nevertheless, Arabic was introduced both at Dartmouth College and Andover Theological Seminary in 1807, Princeton Theological Seminary in 1822, New York University in 1833 and, in 1841, Yale not only offered courses but also made its historic appointment of Salisbury as the country’s first full professor in the field. Unfortunately, to his lasting dismay, Yale students showed little more enthusiasm for Salisbury’s offerings than Columbia’s had for Kunze’s. He had only two graduate students prior to his resignation in 1856. The very peculiarity of our national destiny, in a moral point of view, calls upon us not only not to be behind but to be even foremost, in intimate acquaintance with Oriental languages and institutions. The countries of the West, including our own, have been largely indebted to the East for their various culture; the time has come when this debt should be repaid. 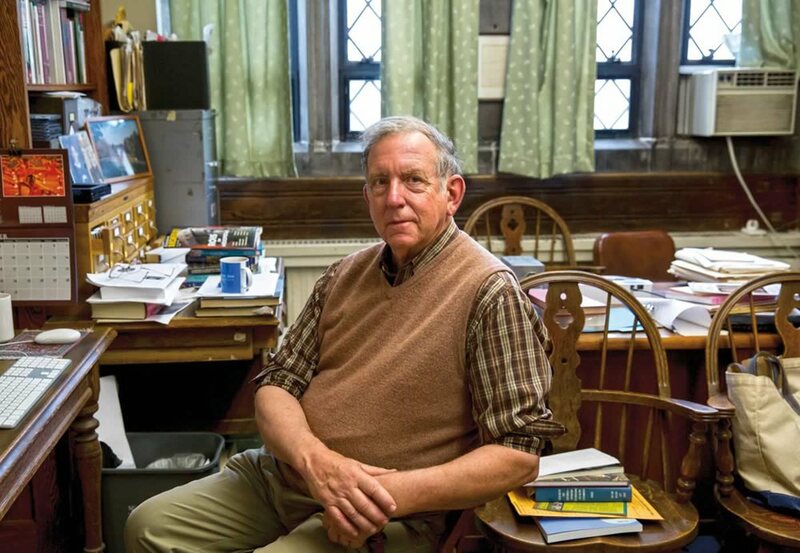 Twenty-seven years later, at Johns Hopkins University in Baltimore, Paul Haupt, a German Assyriologist from the University of Göettingen, found more success than either of them. In 1883, Haupt’s program in comparative Semitic philology became the model for other American universities at the time when interest in Arabic was shifting from a basis in theology to the language itself, “in order to learn about premodern history, culture, religion and society,” says Allen. By the mid-19th to the early 20th century, more universities and theological seminaries began to offer Arabic. In 1900 Yale Professor Charles Cutler Torrey picked up where Salisbury left off, reinvigorating interest in Arabic-language studies and founding the first American center for Oriental research in Jerusalem, which continues to this day. At the same time, the growth in archeology triggered further interest in learning not just written Arabic, but spoken Arabic as well, including dialects. By 1937, 10 universities in the us offered Arabic, although only at the graduate level. The aftermath of World War iiprecipitated a new and urgent shift as the emergence of the usas one of two superpowers called for new international skills. “It was abundantly evident that America was falling very short on any kind of expertise about what was actually going on post-Ottoman Empire,” says Allen. The us government enlisted renowned linguists to prepare textbooks and to create language training for military personnel. In 1947 classes in Modern Standard Arabic (literary Arabic) and dialects began at the Foreign Service Institute School of Languages in Washington, D.C., as well as at the Army Language School in Monterey, California. By the early 1950s, other government agencies such as the National Security Agency and the Central Intelligence Agency had established Arabic programs. When the Soviet Union launched Sputnik, the world’s first artificial satellite, in 1957, the Soviet educational system’s emphasis on science, mathematics and foreign languages was seen as the leading factor in its edge in space technology. In response, the 1958 National Defense Education Act (ndea) supported the study of these subjects in schools, and it identified five languages for priority funding: Russian, Chinese, Hindustani, Portuguese and Arabic. Title viof the ndea supported new fellowships, instructional materials, summer programs, teacher-training workshops, research and more—many of which continue, in various forms, today. From the private sector, a 1957 Ford Foundation grant of $176,500 funded an inter-university summer program in Near Eastern languages shared among Columbia, Harvard, Johns Hopkins School of Advanced International Studies, Michigan and Princeton, with each university teaching Arabic on a rotating basis in the summers from 1957-1961. Extension of the grant from 1962 to 1968 added the University of California at Los Angeles, Georgetown University and the University of Texas at Austin. These grants not only helped to establish the increasingly widespread model of intensive Arabic-language summer programs (see sidebar below) but also generated new teaching methods. Benjamin Foster, Laffan Professor of Assyriology and Babylonian Literature at Yale, notes that the initial motivation to teach Near Eastern languages at colleges in colonial America was to produce an educated ministry. The 1960s brought further changes. In 1963 the American Association of Teachers of Arabic formed and began to professionalize the teaching of Arabic. A series of teacher workshops from 1965 to 1967 led to the publication of the textbook Elementary Modern Standard Arabic as well as a college-level Arabic proficiency exam. In 1968 a consortium of eight American universities founded the Center for Arabic Study Abroad. The 1979 Carter Commission on International Studies and Foreign Languages marked the beginning of the proficiency movement when it concluded: “America’s incompetence in foreign languages is nothing short of scandalous and it is becoming worse.” This introduced an element of radical new classroom strategies. “It’s not texts anymore, its communications,” explains Allen, who became the national proficiency trainer in Arabic for the American Council for the Teaching of Foreign Languages from 1986-2002. When Allen held his first workshop in Arabic proficiency methods at The Ohio State University in 1986, many of the leading Arabic scholars showed up, including Peter Abboud, Ernest McCarus and R. J. Rumunny. “Those guys immediately realized that what they had done in the 1960s and 1970s modernized the study of Arabic, but what they hadn’t done was to get entirely away from the grammar-based approach. What proficiency did was turn this whole thing on its head. They now had to figure out how to teach Arabic for communication purposes,” says Allen. 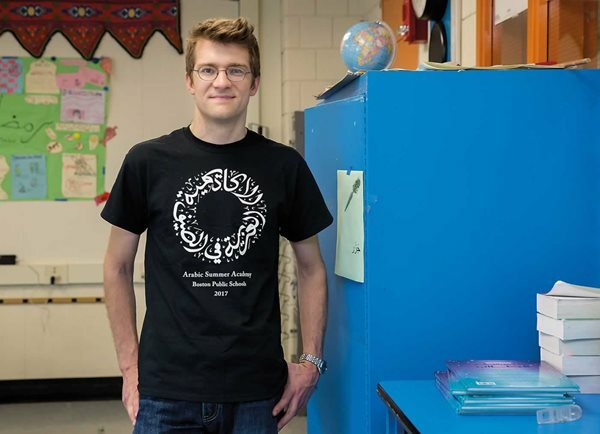 Arabic is a skill in itself and “a great avenue for giving students a real experience in cross-cultural communication,” says Richard Cozzens, top, program director of the decade-old annual Arabic Summer Academy in Boston’s Charlestown High School. “The focus is on learning and connecting, and on building a community.” Sarah Rangwala, above, teaches Arabic at Charlestown High School as well as at the Arabic Summer Academy. “Today, you want to prepare a student to deal with the realities of Arabic as it is used in the 21st century,” explains Professor Munther Younes of Cornell University in Ithaca, New York. In contrast to Al-Kitaab, the most successful contemporary Arabic-language textbook, Younes fully integrates formal, written Modern Standard Arabic (fussha) with spoken Egyptian and Levantine dialects (ammiya). “This is what best serves the modern generation of students,” he says. Arabic studies today are a far cry from their mid-16th- century beginnings as a tool to interpret Biblical texts. According to the Modern Language Association, Arabic is now the fastest-growing language studied at us colleges and universities. More than 35,000 students are enrolled in courses, a number that grew 126 percent from 2002 to 2006, and another 46 percent by 2009. Arabic is now the eighth most-studied language in the us and, as of 2013, 84 primary and secondary schools across the country offered Arabic-language classes. The Near East Collection at Yale’s Sterling Memorial Library holds more than 250,000 Arabic and Persian volumes.